I’m not talking about some science fiction story here. Most adults have probably had some “brush with death” in their life by the time they reach their 30s, whether it’s a diagnosis–or possible diagnosis–of a life threatening illness, an accident, or whatever. Even just contemplating the death of someone we know puts us in touch with our own mortality. Working hard to get something accomplished. What few people have to deal with is the constant awareness that, not only are they mortal, but there’s a relatively high probability they could die today. And don’t tell me, “You could be hit by a bus.” I get sick of hearing that response (or words to that effect). If a person says, “Oh, no! What if I get hit by a bus?” all the tiem, that’s generally considered being paranoid and/or phobic. It is not paranoid and/or phobic for a Marfan, especially a post-operative Marfan with a St. Jude valve, a daily dose of Warfarin (aka Rat Poison), a brain aneurysm, and a thoracic aortic aneurysm to think, “What if I die today?” Especially when one hears of middle-aged Marfans whose aortas dissect simply from the strain of coughing. Today, I learned of a 16 year old girl who died of Marfan syndrome on October 9. Her name was Madison Beaudroux. She told her sister, “I feel like I’m going to pass out.” She did, and those were her last words. Every day, I consider each of those above options to some degree or another. Usually one or another predominates the others, depending upon my mood, circumstances, etc. What of my duties to this family God has given me? Is it better to push myself to the limits for them and die or to hold back and be there for them? Would I not be of more use to them as a saint in Heaven than as a cripple here on earth? What of my duties to this body God has given me? Is it merely a mere “coil” to be “shuffled off”? Is it essentially a burden to be relieved from or a treasure to be protected? How to walk that line? What of the sins I commit in thought and deed and ommission because of the strain my constant pain and fatigue put on my conscience? Are the pain and fatigue merely the devil pressuring me to sin? Will God show me mercy if I can’t get to Confession in time to once again confess the same bad habits and mindsets I fall back into over and over? What if I’m not detached enough? What if I’m just excusing myself? Could people PLEASE stop saying that Benedict’s reign was “short”? Since Pope Benedict XVI announced his retirement a month or so ago, a common meme from both his supporters and critics has been how “short” his papacy was, given that we’re used to the relatively long reigns we’ve seen in the past two centuries. After St. Peter himself, the longest reigning popes are, in order, Blessed Pius IX, Blessed John Paul II, and Leo XIII. Pius X (11 years), Pius XI (17 years), Pius XII (19 years) and Paul VI (15 years), all stuck around a while. So, yes, since the fall of the Papal States and the First Vatican Council, B16 has had the third or fourth shortest reign after John Paul I and Bl. John XXIII, and is (by approximate years) tied with Benedict XV (interestingly fitting). (2013-33)/265 = 7.47. . . . This site somehow came up with a figure of 7.2 years as the average reign. So, seen from *that* perspective, it’s been on the long side. Back in the 1980s, a popular culture phenomenon showed the dark underbelly of capitalism. Undernearth a shallow facade of big hair and shoulder pads, and amidst distractions about love affairs, family strife and divorce, it told the story of a ruthless cartel bent on crushing any and all competition, even amidst the members’ own internal rivalries. The members of this cartel may have been all charm and sweetness in public, but they were secretly going around breaking legs and blackmailing to crush their enemies, and it’s far time someone exposed their nefarious schemes. 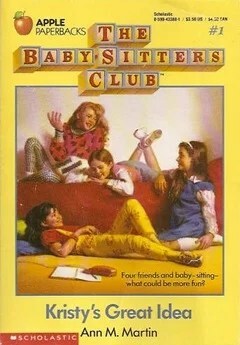 Babysitters’ Club?! HA! More like Babysitters’ Cartel! There is a lot of buzz about Sean Cardinal O’Malley, OFM Cap, who is apparently a popular choice in European circles as the next pope. 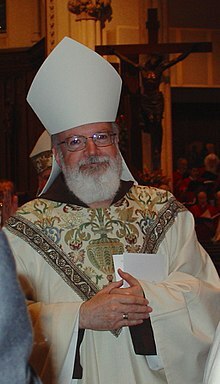 O’Malley has a lot of strong points: expertise with new media, “JPII bishop,” ecumenical background, international experience/multilingual, reputation as an authentic reformer in terms of the scandal. I’m not sure about his reputation among traditionalists, except that he did perform a Confirmation according to the extraordinary form a few years ago. However, when, now more than ever, we need a Holy Father to stand against the worldwide conspiracy against life, O’Malley is not that man. It’s bad enough he engaged in the public funeral and insta-canonization of Ted Kennedy, he even defended it on his blog. Now, let me be absolutely clear: whether Kennedy deserved a Catholic funeral is between him and his confessor. Whether Kennedy is forgiven for his sins is between him and God. However, there is a big difference between being a personal sinner and a public heretic. There is a big difference between private sin and public scandal. 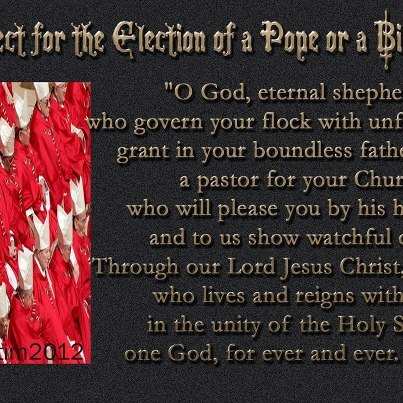 This is an age-old principle of Catholicism that has been all-but abandoned since Vatican II. In the comments on O’Malley’s blog, we see a lot of references to forgiveness–often from people whose context otherwise indicates they don’t think Kennedy needed forgiveness. This is not about forgiveness but about teaching. I certainly hope God has forgiven Ted Kennedy, because that means I have a chance. That’s not my issue. There’s a big difference between forgiving someone and “honoring his life.” There’s a big difference between giving a quiet, private Catholic funeral to someone who should have been publicly excommunicated and giving him a public funeral with a bully pulpit on what a great public Catholic he was. Another common comment from Kennedy’s defenders is that we shouldn’t mix religion and politics. However, they’re just as quick to say that Kennedy’s “other political positions” show him to be a great Catholic. Another defense of Kennedy is that supposedly abortion is one exception to being otherwise Catholic in his positions, and this is also untrue. Let’s start with those “other issues” we so often hear about in Catholics defending their support for the Democratic Party. I’ve addressed these many times, of course, but apparently people just can’t comprehend the truth. But even so, even if somehow we can contort the Social Justice encyclicals to support the kind of Socialism the Kennedy family supported, and even if we can reduce abortion to one concern among many, Ted Kennedy had three other major black marks, as well. Kennedy was very publicly divorced and remarried, for one, and thus it’s no wonder he once condemned St. Thomas More for being “intolerant.” When the public divorces of people like Ted Kennedy and John Kerry are brought up, liberals like to respond that annulments are supposedly a “private” process. Well, no, the whole point of an annulment process is to ensure that there’s no scandal in a remarriage, and if a Catholic is publicly divorced and remarried, that Catholic needs to publicly announce an annulment, as was done with numerous monarchs throughout history. Otherwise, it’s just “wink, wink, nudge, nudge,” sending the message to the public that Jesus Christ’s condemnation of divorce is an outmoded rule that can be ignored. Speaking of Catholic teachings that are morally vital to society but largely ignored, Kennedy was personally responsible for ensuring that contraception remained legal in the US by single-handedly derailing the Bork Supreme Court nomination, and *precisely* on Bork’s position that _Griswold v. Connecticut_ was bad law. Did Kennedy ever publicly repent of these public offenses against Church teaching? If not, he shouldn’t have been publicly honored as a “Catholic” public official. Yet if people point out these basic principles of Catholic ethics, we’re labelled angry RadTrads, and ignored. On top of that, as far as Cardinal O’Malley goes, there’s the issue of John Kerry. Ted Kennedy may be dead and buried, but O’Malley has failed in his duty of formally excommunicating John Kerry. Soon we say good-bye to His Holiness, Pope Benedict XVI, Metropolitan Archbishop of Rome, Vicar of Christ, Servant of the Servants of God, etc., as he retires from the Papacy to pursue a higher calling of cloistered contemplative life. One of my few regrets in life is that I never got one of those “I love my German Shepherd” bumper stickers. I have been a fan of “God’s Rottweiler,” the PanzerKardinal/PanzerPope, the B16 Bomber practically since I was old enough to know what a Cardinal is. 8 years ago, when he was announced as the new Pope, as soon as I heard “Dominus Josephus,” I began to jump, and as soon as I heard, “Cardinalis Ratzinger,” I was yelling, “YES!” and my hand was hitting the ceiling as I jumped for joy. I went to Mass that day or the next day, and some ladies were talking about the “new Pope”, and “Do you know who this Cardinal Ratzinger is?” and I was dumbfounded. How could any Catholic *not* know who Cardinal Ratzinger was?? Anyway, it’s been a great 8 years. Many people seem to be of the impression that his reign was “short,” given the relatively long papacies we’ve experienced since the mid 19th Century, but the average papacy has been about 8 years, and he’s one of the oldest popes in history. 1) Authentic ecumenism. I hope to live to see the day the Patriarchs of Rome and Constantinope re-communicate each other. It would also be nice to see the post-Vatican II fractures in the Church healed. 2) Tied to that: Reform of the Reform. It’s a term we’ve heard a lot from such as Pope Benedict and Cardinal Arinze, who most people say is too old to be Pope (though they said the same of Cardinal Ratzinger). _Summorum Pontificum_ was great, but we still need a reform of the New Rite akin to what Cardinal Ratzinger called for in many of his writings, something more like what _Sacrosanctam Concilium_ calls for and not what Rembert Weakland and company actually did when they hijacked the implementation of the Council. 3) Speaking out against the worldwide Culture of Death, in particular against pro-abortion Catholic politicians. 4) Dealing with “the Scandals”–both the aftermath of the exposure of endemic sexual abuse, and dealing with the network of homosexual bishops–including, apparently, some at the Vatican–who have facilitated it. Most of my fondest memories of my parents come from when I was sick-sick, or in the hospital, or the doctor’s office. I mean, Dad did that “typical father” stuff, like teaching me Shakespeare at 8 and preparing me for the SAT at 9. Mom and I had great conversations in the car going to school or running errands. And she used to buy writing journals back in PA, and we would sit at Presque Isle State Park or just in our house and write, and sometimes if I was lucky, she’d share her poems with me. Yet the first thing that comes to mind of my childhood in general, and certainly with my parents, was doctors’ offices, tests, hospitals, or just in bed with a cold or flu. After all, that was the time when it was just me with Mom and/or Dad: nothing and no one else in the way. I have a collection of “Mary Pictures.” I keep it on my phone, my laptop, and all the desktops. I made a video of it. One of my favorite pictures was taken at my nephew’s birthday when we were engaged, and I was having chestpain, and Mary was still in the “this is all new to me, so I’m gonna panic every time he has pain” stage. I was laying there on the sofa having chest pain. It’s something that, prior to Mary, I did quite often, but it was always one of my deep emotional pains that my body kept me from participating in so much of the “basics” of life, and I spent so much time alone in the other room. So Mary was sitting there next to me on the couch, holding my hand, and someone took a picture, and I love that picture. So, as a husband and a father, I feel like it’s my chance to “give back” when someone’s sick. Sadly, especially in the past couple years, I’m not much use to Mary when she’s sick, especially if I’m sick at the same time. But she also might not even know about certain underlying health conditions she has if we weren’t so aware of those matters because of me. Her POTS, mitral valve prolapse and afibrillation would still be “just laziness” or “just fatigue” if she didn’t have me to confirm, “Yeah, that pain you’re having sounds cardiological. Go to the hospital.” Ironically, just a month before she went to the hospital and found out about her heart condition 2 years ago, I had been laying my head on her chest and thinking how nice it was to hear a “normal” heart beat. I felt like I cursed her. Allie picked up very quickly on what a bonding experience the doctor’s office is, especially since I presented it to her that way. She had her first echocardiogram (discounting one when she was a newborn) a month or so before Mary’s first sonogram with Gianna. They let her sit in on the sonogram since she’d already had an echo (for those who don’t know; it’s the same machine; just pointed in a different spot), and she already knew how to behave at a doctor’s office. After watching her sister’s sonograms, it also made her more comfortable with her echo. She often accompanies me when I take her siblings to the doctor or the hospital and, with one exception, she’s always been a big help, and she’s always impressed the doctors. Then there’s Gianna, the little nurse. She’s not as adamant about her life plans as she used to be, but we still tell her she’d be a great nurse if that’s what she chooses to do. I will always remember Allie’s first major stomach bug when she was a one year old, which was I think the first time I took her to the pediatrician for a “sick visit.” I will always remember having to give the pediatrician a detailed description of what was in her diaper–never in a million years thought I’d be able to tackle that task. When she was born, the nurse laughed at me for wearing a mask and gloves while learning how to change a diaper (of course, in addition to the whole “grossed out” thing, I was also extremely paranoid at the time about my valve and infection). I’ve always said my real “parental boot camp” came when Allie was a little over a year old. We all slept in the same room, and we kept the baby gate up in case she woke up. She knew how to walk, and she had just learned how to take off her own diaper. I woke up to discover that she had already woken up, taken off her diaper, and made a big mess with what was inside it. I had to clean the bed, the bedclothes, the carpet and the kid. I was also used to being able to call the cavalry in such situations. I called Mary’s aunt. I called her parents. No one answered. When I finally got in touch with someone, it was her sister: “I can’t come over; I’m at the hospital because Mom’s had a heart attack.–But dad says not to tell Mary at school.” So now I had to clean all that stuff up on my own without Allie getting into further trouble *and* get her dressed so we could go to the hospital and find out what was happening with my mother in law. Then Gianna and Joe came along with their severe food sensitivities. . . . Another permanent memory is the time when Gianna had some kind of accident on Allie’s favorite doll, “Gillian”–which she had received from my sister the previous Christmas. Mary was like, “The doll is ruined. Throw it out!” Allie was crying. I put it in the bathroom, cleaned up the rest of the mess, threw stuff in the wash, then went back to the bathroom and used shampoo, baking soda, Oxy-Clean and elbow grease till Gillian looked like a bright new doll. Then there was her first stomach bug as a preschooler. I was working my job in Springfield at the time, and I had to go in on Saturday morning. They’d said it was OK to bring your kids on those Saturdays, and Allie had been looking forward to it. So Friday night, woke up in the middle of the night, throwing up. I slept on the couch; she slept on the recliner. Mary and the other two at the time stayed upstairs. Next day, she went with me to work and mostly hid under my desk. Late in the morning, she was hungry, so I got her some crackers and pretzels from the vending machine, but I insisted she try ginger ale. “I’ve already drank water,” she said. “When did you do that?” I asked. “I got up in the middle of the night and got myself a glass of water, and I held it down OK.” That’s Allie. Three eye surgeries for Allie. A broken arm for Gianna. Another broken arm for Joe. The common cold, influenza, bronchitis, allergies, etc. Gianna’s gastroenterological tests. Allie’s various physicians. Helping Allie through her “Marfan milestones”: her first knee dislocation, her first chest pain, . . . And the thing she has that I don’t have, that worries her mother and me to death, her pectus excavatum. Every year, they test it and tell us it’s “fine” (meaning they don’t want to operate yet). Yet when you put your arms around the kid, you can feel how frail her little ribs are. She doesn’t like being hugged because it hurts. Sometimes, I lay my hand on her chest, and I feel that indentation so deep I can put my fist through it, and I wonder how there’s any room in her chest at all, and I just want to cry for her. Then there was the time Mary called me in a panic. Allie had said, matter of factly, as she so often does these things, that she couldn’t see anything in her right eye. I came rushing home, fearing retinal detachment. I did some informal tests. I called her cardiologist and her ophthalmologist. I ruled out retinal detachment, but I got her an emergency visit to the ophthalmologist, and he said the zonules on her right lens were so loose that, while the lens wasn’t dislocated, it wasn’t focusing at all anymore, so it was completely obscuring her vision. It took three surgeries and two years to get that lens out of the way, and by then it was almost too late. I have a problem where Allie’s care is concerned: I’m the first to want to get whatever the best things for her I can get. Technology has improved a lot in the last 20 years, and I want her to have the opportunities I didn’t for care that didn’t exist then. However, I also know what it’s like to be a “guinea pig,” and I know what it’s like to suffer side effects and complications that are sometimes worse than the problem. And I know what the stress of all this stuff is like, and how all the different things going inside the Marfan body come together to drive one crazy. Being a Marfan is like being a patient on “House”. They give you a drug for your heart, and the drug, in conjunction with the Marfan, screws up your intestines and lungs. They give you a physical therapy method for your hips, and it makes your knees dislocate. They give you at therapy for your knees, and it makes your back hurt. They give you a therapy for your back, and it makes your hips hurt. . . .
I’m very cautious about giving her cures that may be worse than disease, or putting her through therapies that might give her undue stress, because, on the one hand, I know exactly what she’s going through. On the other, unlike her father, the kid never complains . She only complains when she’s about ready for the hospital, and if she’s not feeling well, the only way she ever shows it is by lashing out. We used to have a regular thing. We get into the habit and then somehow get out of it. It’s called, “If a kid’s being exceptionally crabby, give ’em some Tylenol.” Allie has headaches all the time, because of her vision, and everything else, and she doesn’t stop to say, “Hey, Mom and Dad. I have a headache.” She just gets crabby and uncooperative. When we’re smart, and we think, “Maybe she has a headache,” we offer her a Tylenol, she accepts it, and after a little while, she’s sweet and cooperative again. I saw and heard Joe take a bad fall. He was crying. “Are you all right?” “No!” I came running over, and he was already on his feet. He toddled himself into the house and laid down on the futon. While everyone crowded around him, I unloaded the groceries. 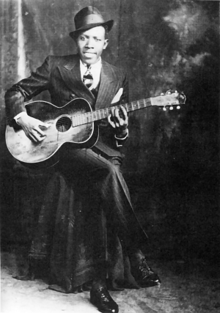 Then I knelt down beside him, cleaned his wounds, put on band aids, stroked his head, and talked to him gently. At first, all he said was that his arm hurt all over–and it was the arm he broke last year. It didn’t look broken, and after talking to him about it, I got him to explain that his hand and wrist hurt, and he had fallen on his hand. I put ice on it for a while, and Mary took him to the ER, and she said they were great, and they said it’s probably not even a sprain but just a bruise. But there was something special in that time. As terrifying as it was, it was also a special bonding moment for me, to kneel there in the den and tend to my little guy, stroking his head and talking to him. English 101 textbooks like to include an essay that E. B. White wrote about taking his son to the cabin that he used to go to with his father, and how the time seemed to blend and invert. Something like that happens when I’m tending to my kids in their infirmities, especially the most drastic ones. It’s like I channel my mother. As I comfort my own child, I find myself a child again, being comforted by my Mom.